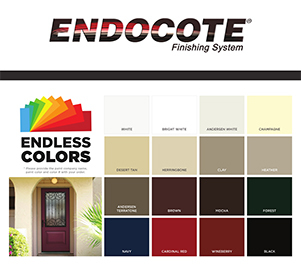 The Endocote® Finishing System has been exclusively designed for our Therma-Tru® fiberglass doors, taking durability to the next level. 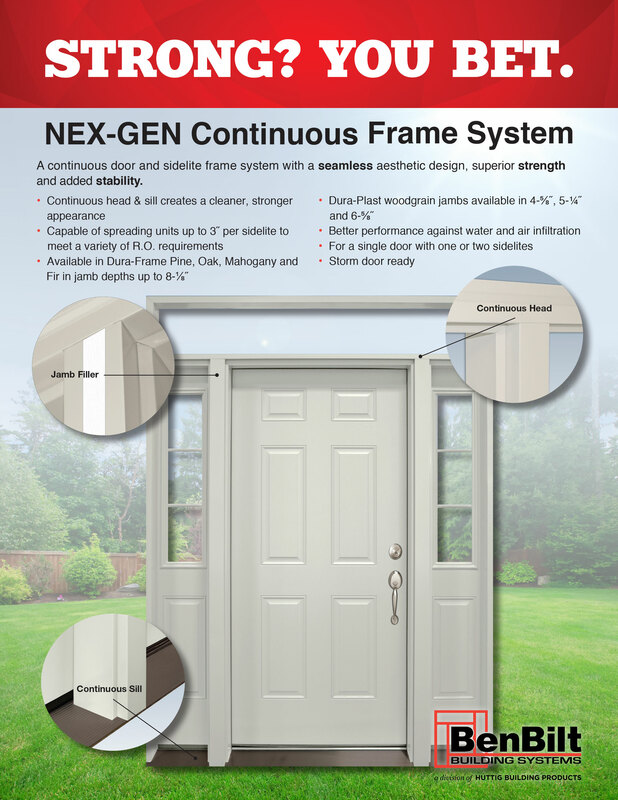 This system offers unbeatable long-term performance, adding a low maintenance experience and lasting beauty to any entrance. 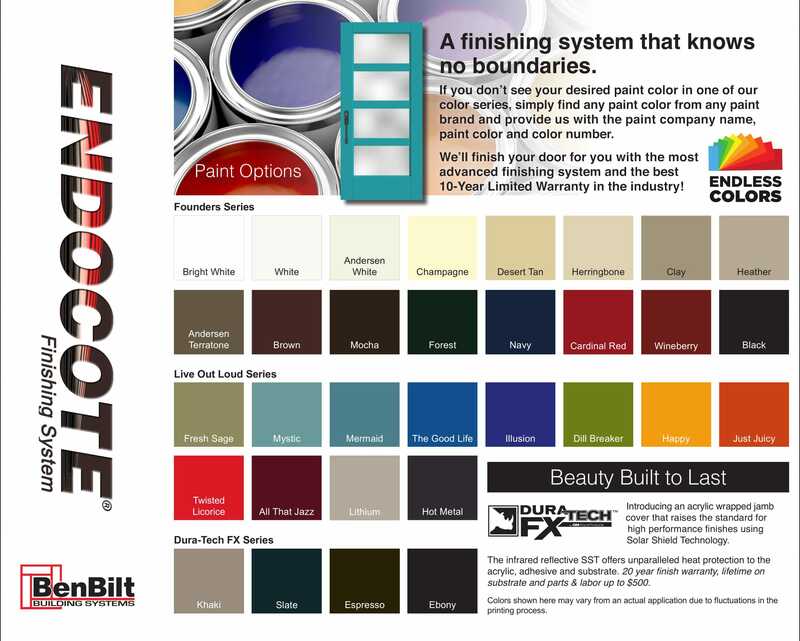 With Endocote, the color possibilities are endless. Just provide a paint code and Endocote can match it. 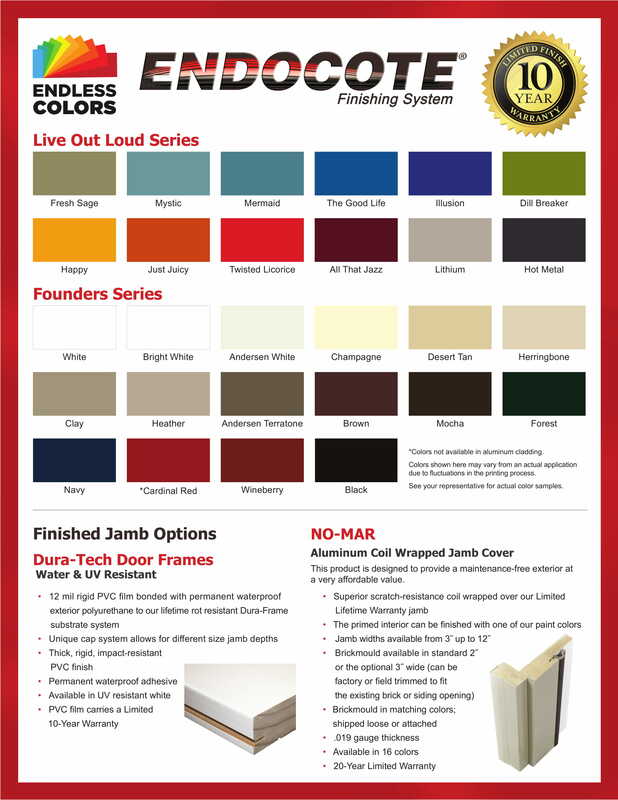 They also offer 47 standard stain options. 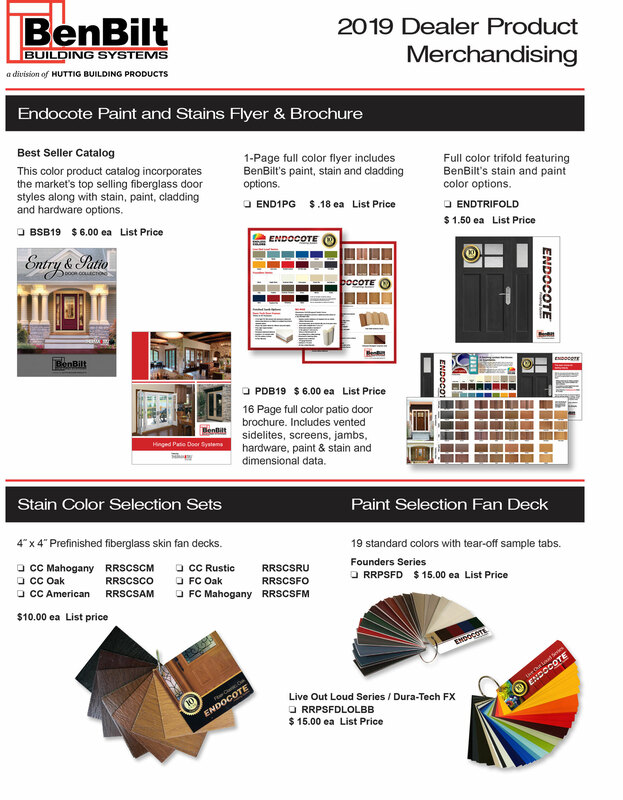 Endocote can meet the color needs of any customer. 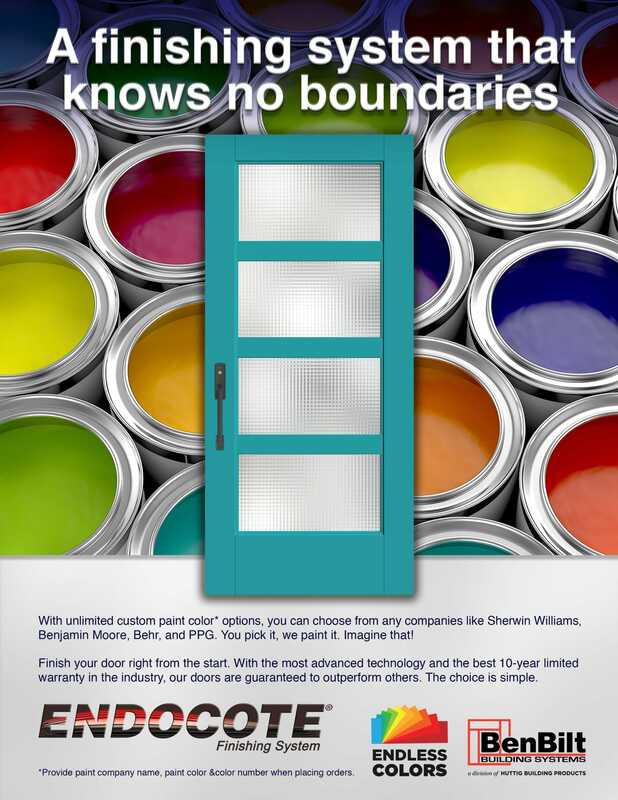 Each door is factory finished in a controlled environment by our trained technicians to ensure a consistent finish for every door. 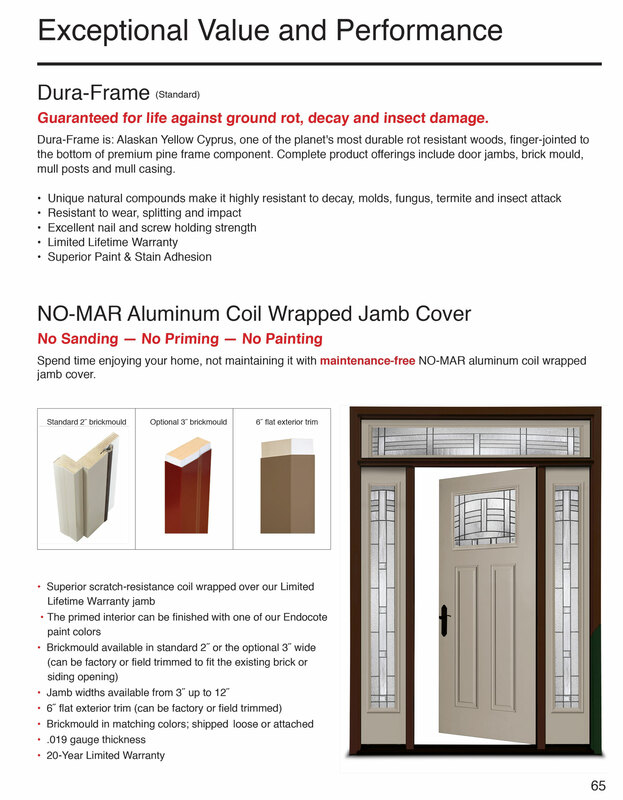 Endocote does not require an additional top coat at any time during the 10-year finish warranty period, making it an outstanding value for any Therma-Tru entry door. 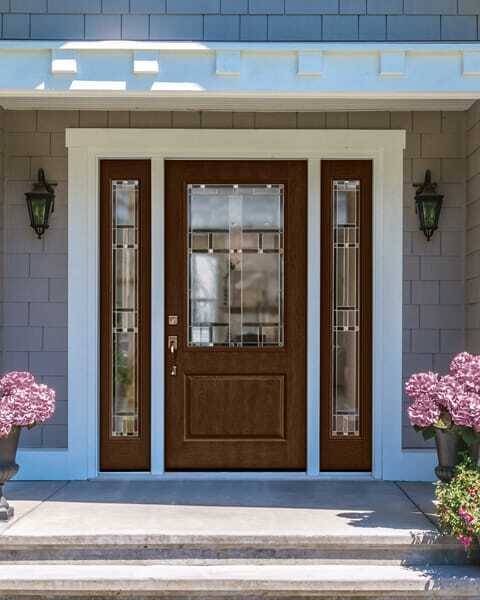 Every door is closely inspected and prepped prior to the finishing process to ensure superior and lasting quality. The stain is hand-applied by skilled technicians ensuring a real wood appearance. Each stain remains on the door for the optimal period of time, to provide clarity and detail to the graining. After staining and drying, the door is inspected again for evenness and uniformity of color. Then the first coat of clear coat is applied. 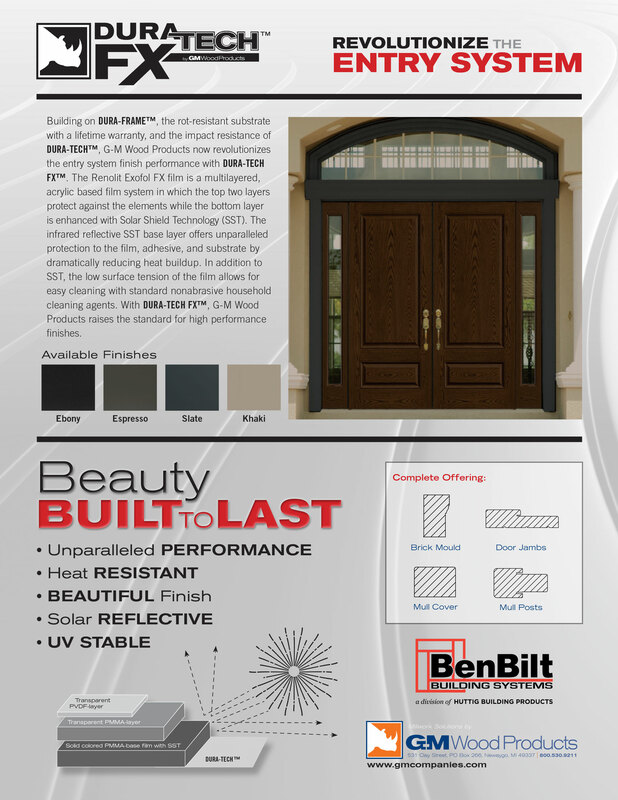 Each door is oven-cured at a high temperature to ensure a hard, durable finish that will last for years. The door is again inspected and another detailed hand sanding is performed in preparation for the second layer of clear coat. This meticulous final sanding step assures the elegance and beauty of the final product. 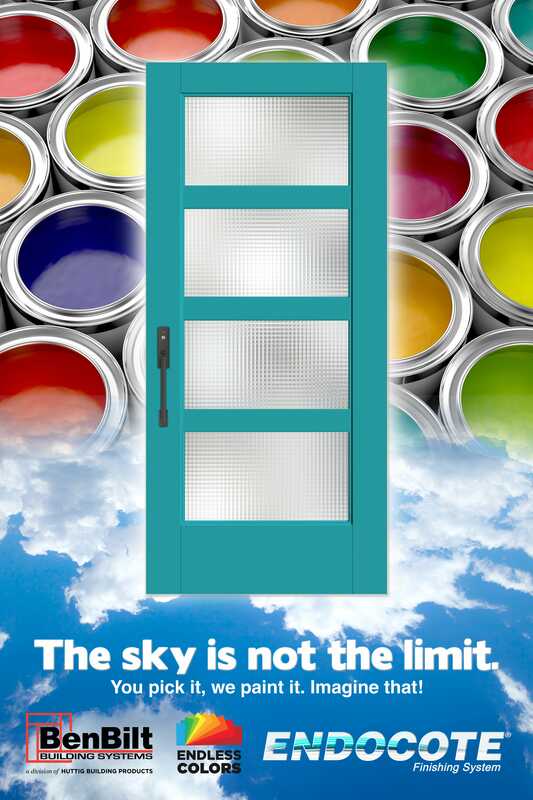 A final coat is applied with UV inhibitors which provides an extra layer of protection against the elements and further enhances the depth and beauty of the door. The door is oven-cured a second time to produce a door with a smooth protective finish that ensures long life and distinguished beauty. Our painted doors are carefully inspected and prepared ensure a perfect base upon which to begin the finishing process. 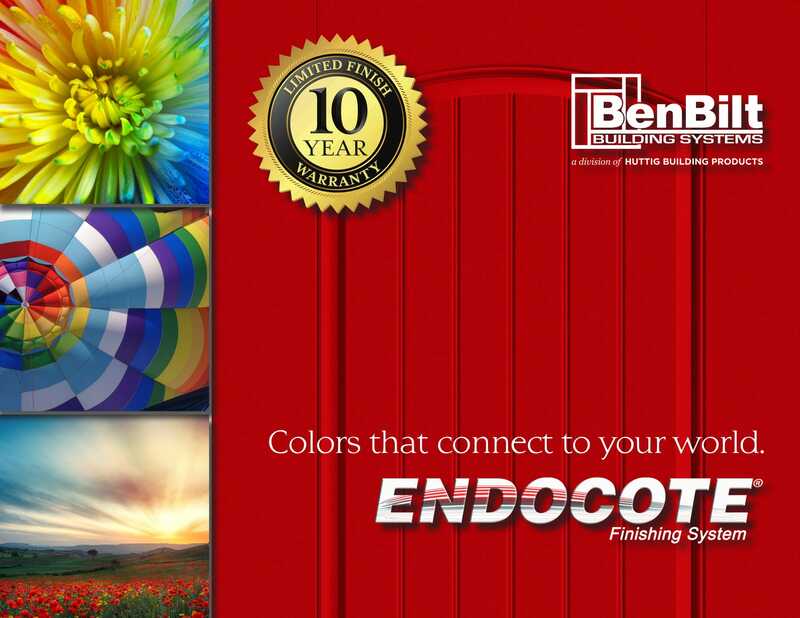 The paint finish is applied with a high volume-low pressure spray process providing a finer, smoother, more even application of color. The door is then oven-cured for durability and a long-lasting finish. 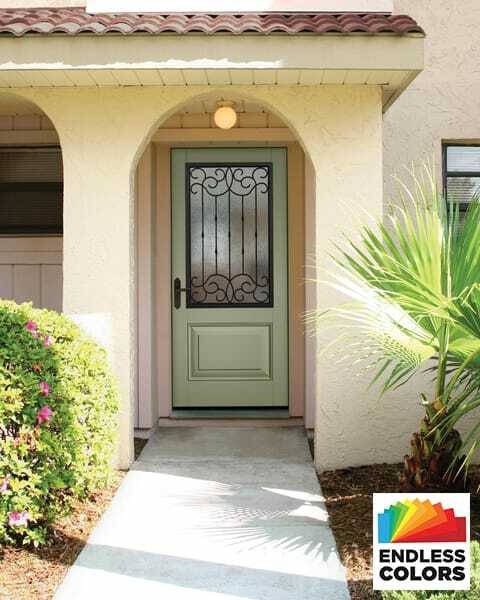 This process creates discernibly truer, richer hues that brings a new dimension of beauty to your door. 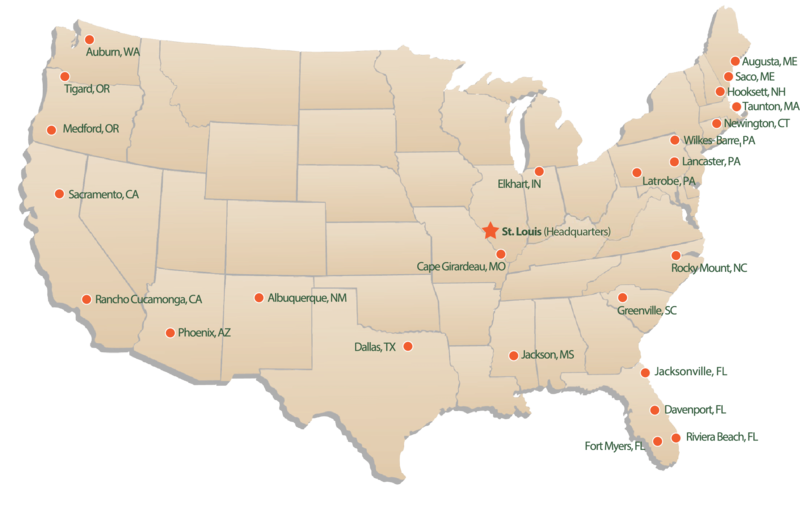 Colors shown here may vary from an actual application due to fluctuations in the printing process. 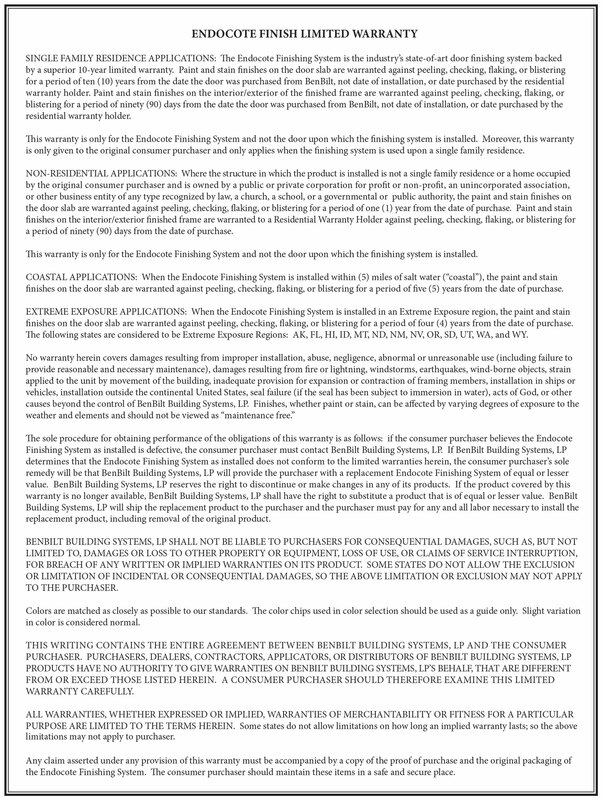 See your representative for full Finishing System Warranty. 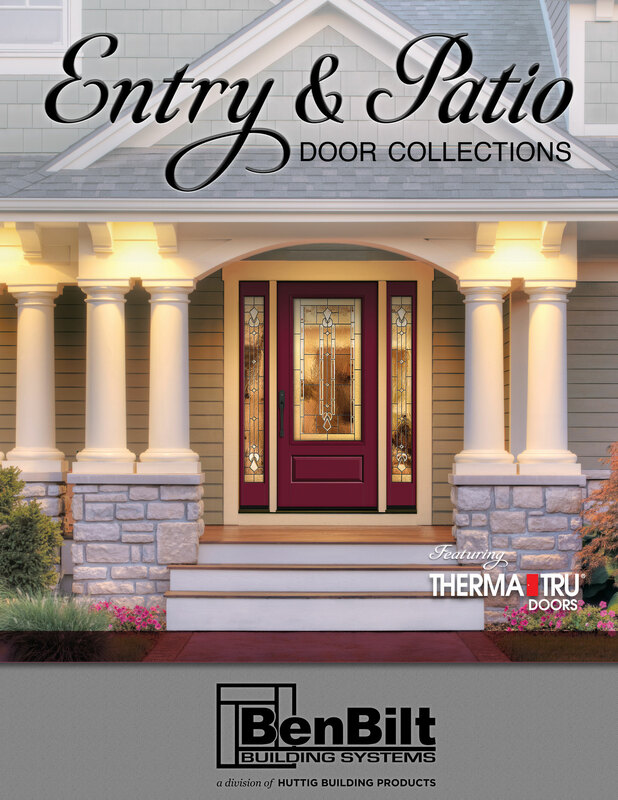 The warranty is separate from Therma-Tru Corporation's written warranty.